When you’re looking for a deck builder, it can be difficult to figure out what makes one company different from another. With over 80 decking companies listed in the Yellow Pages for greater Vancouver, there’s no shortage of options to choose from. When you’re spending thousands of dollars building or renovating your sundeck, you want to know exactly what you’re getting for your money. You don’t want to pay more than you have to, but you want to make sure your deck is going to be durable and beautiful. We start with asking questions and understanding your needs to make the best recommendations possible. We’ll review your options with you and share our experience so that you can feel confident and supported in your decisions. After we understand what you need and want, we’ll compile a detailed quote that clearly outlines the project phases, materials, and costs. Want to change your style of deck? Not sure what decking you want? No problem. Many deck contractors only work with one or two types of decking. We have experience in vinyl, composite, cedar, pine, hardwood, fiberglass and more. We can construct a new deck or work with your original structure. We’ve even got you covered for patio covers, privacy walls, and custom railings. No matter what you’re starting with or what you want to have, our experience and expertise will ensure that we provide you just what you want, efficiently and affordably. We’re not just experts in sundecks, we know exterior construction and waterproofing too. By staffing crew members with expertise in all elements of home improvement, we ensure that no matter the project, we have an expert on hand to get it done. We don’t work with tunnel vision, we see the bigger picture. We build and install decks in a way that maintains the integrity of your home’s complete waterproofing and structural systems. 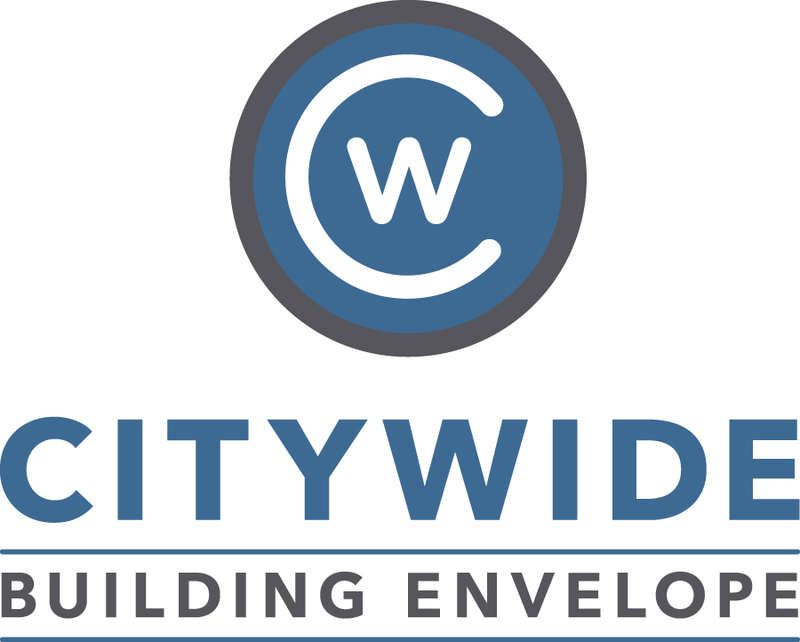 Our commercial and industrial branch, Citywide Building Envelope, caters to the needs of Stratas, Property Managers, Developers, and Architects. We handle siding, traffic coatings, and balconies in new construction and restoration projects. Contact us to learn more about our commercial services. Our team is big enough to get any job done, but not so big that you’re ever treated like a drop in the bucket. Unlike many small one-man shows, we have full licensing and insurance. You’re not on the hook if something goes wrong. We also can’t disappear with your money and leave you high and dry. 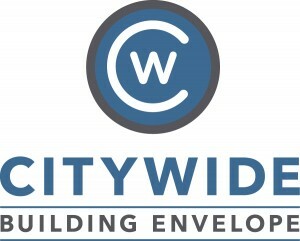 Citywide is a local, family owned business that prides ourselves on serving families just like our own. We believe in doing the right thing and building decks that we can be proud of. Our core staff have been with us for years. Why does it matter? Well, they trust us and we trust them. It’s a testament to how we treat the people we work with: with respect and commitment. We know our staff well, including their capabilities, so we can be confident that we’ll always live up to your expectations. 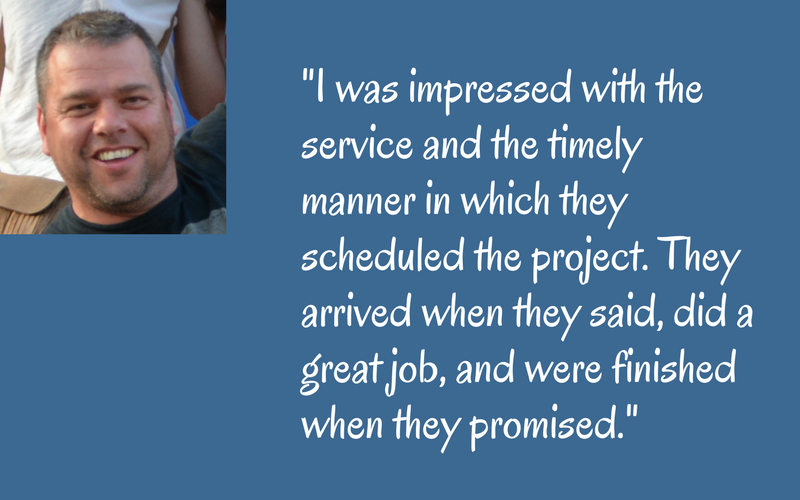 Clients frequently comment on how friendly and respectful our crews are. We wouldn’t have it any other way. It’s one thing for us to tell you how awesome we are, but it means a whole lot more coming from a trusted third party. 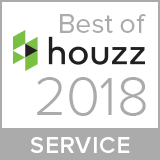 Houzz is a well-regarded home improvement organization that connects homeowners to contractors. 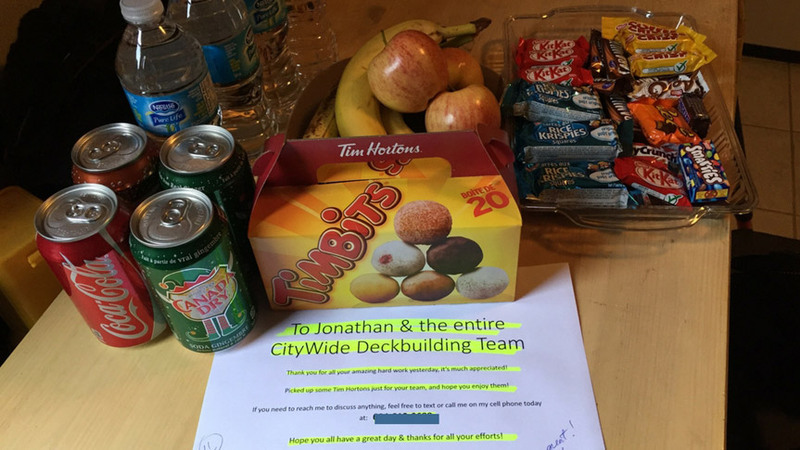 Being recognized by them as the best deck builder in our area speaks volumes about our dedication to service and our clients’ satisfaction. Everyone’s heard a nightmare contractor story where someone was ripped off or duped by an unqualified or immoral company. So what’s your protection against this sort of horrific experience? We want you to feel 100% confident in choosing Citywide so we’ve volunteered to be part of the Greater Vancouver Home Builders Association. As a member, we pledge to live up to strict expectations on integrity and professionalism. And if we ever fail, we’re accountable to the board and hundreds of our industry peers. Not just anyone can install the #1 vinyl decking membrane for you. Duradek requires its products to be installed by trained and certified distributors. We happen to be the top Duradek installer in lower mainland BC.  Beyond our vinyl decking supplier, we partner with the top local and international manufacturers and suppliers to make sure our decks are an incredible value. We build your deck like we would build our own. 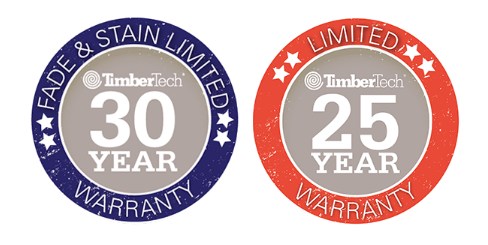 Our preferred composite decking suppliers are TimberTech & AZEK. We choose to install these brands because of their outstanding quality and dedication to research and development. Their materials are constantly on the cutting edge of decking technology so you get the best there is. Whether you want a one of a kind deck, or just a trustworthy deck builder, we can get the job done. 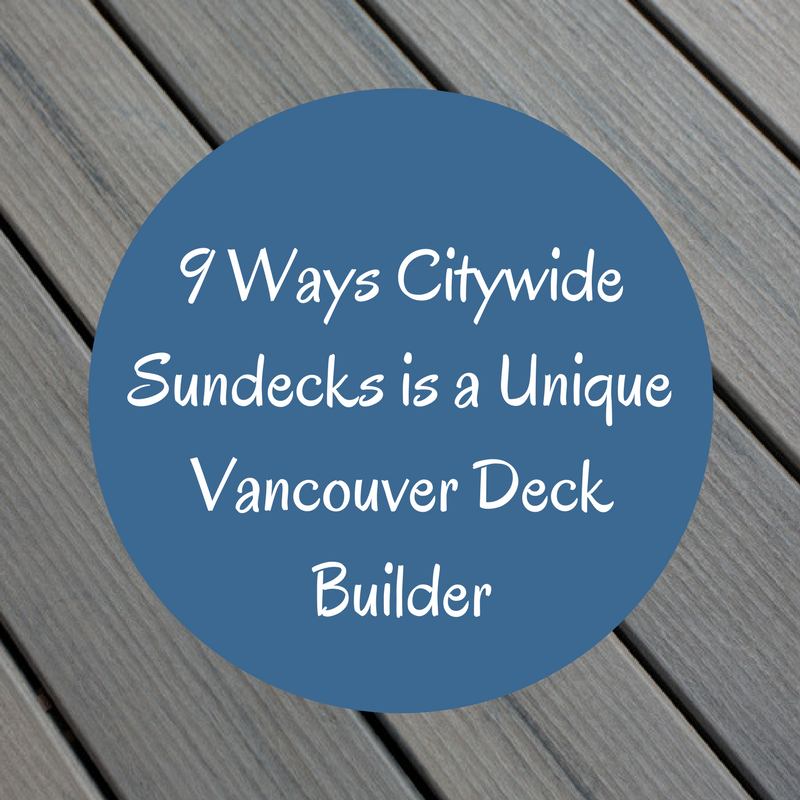 If you’d like to experience how Citywide Sundecks is unique, fill out the form below or call (604) 786-3325 for your free quote.